On Sale! 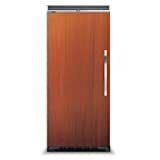 Up to 7% off on Freezers at Portable Building Guys. 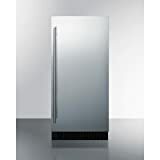 Top brands include Viking, Summit, Hoshizaki, VIKING, ELECTROLUX ICON, Frigidaire, Tempguard, & Marvel. Hurry! Limited time offers. Offers valid only while supplies last. SCFF53BSSIM Frost- free Undercounter Freezer With Icemaker Digital Thermostat Stainless Steel Door Lock and Black Cabinet.